E is for Explore! : SWAT! 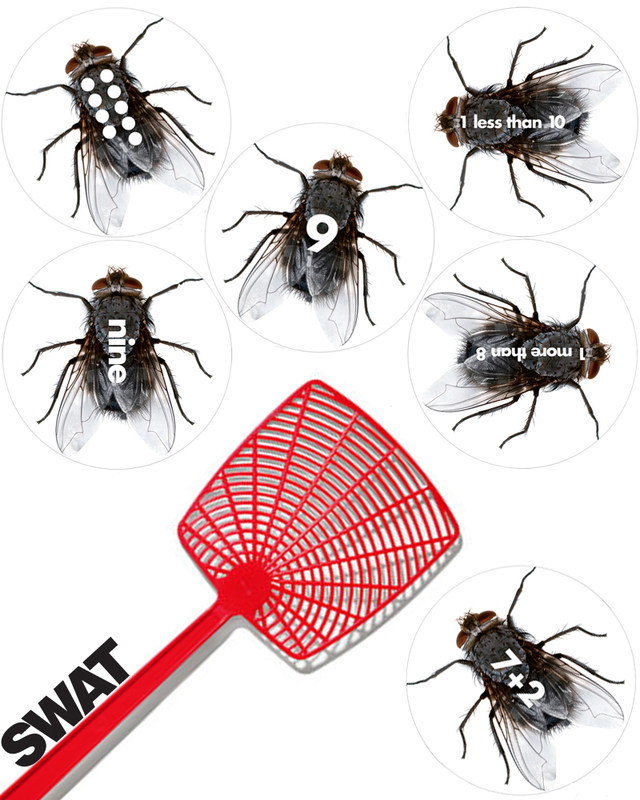 Using a fly swatter, kids try to swat and capture matching flies. Example above: swatter is looking for the number 9. There are six flies that represent the number 9. Click here for a free printable!